ChromaBlast-R inks are the smart choice for new businesses looking to get into the t-shirt printing business. A perfect alternative to expensive direct to garment printers. ChromaBlast-R produces amazing images on white and light colored cotton fabrics that look like nothing else. 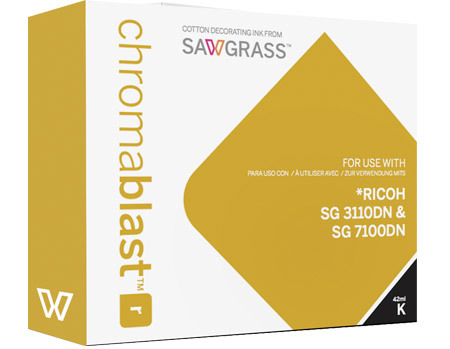 ChromaBlast Inks for Ricoh SG 3110DN and SG 7100DN printers.